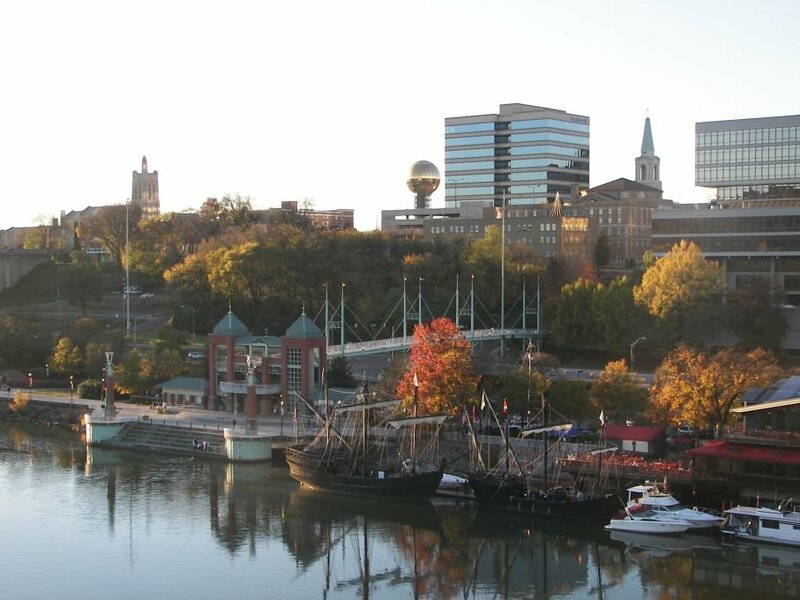 Throughout my growing up years in Kingsport, Tenn., we made it to Knoxville pretty frequently. It was close, only an hour and a half west, and it had a bigger mall, better concerts and the state’s great fixation – University of Tennessee football. (I expect many Knoxvillians probably run the road in the opposite direction to get to the Bristol Motor Speedway; NASCAR being the region’s other great sporting obsession). But, I was also kind of poor and practical about paying out-of-state tuition. So I chose the University of Memphis for undergrad. (My thoughts on that experience another time.) From there, my young professional life took me to Washington, D.C., the Seattle area, Virginia, etc. He went on to argue that downtown Knoxville never totally died off; even through the lean years, there were still notable anchors. Still, I was left wondering: What is Knoxville’s secret? So many cities would love to generate that kind of buzz. Had new urbanism just taken a real hold there? Or were there governmental practices, policies or planning that enticed renewal? Watson, who is also a member of the Central Business Improvement District Downtown Development Committee, gave me a rundown of some of the ways the city has proactively bolstered development downtown. – The city can offer developers tax increment financing, the ability to apply the value that comes with building or improving a property (which would normally increase taxes) to the debt of their loan. “That’s what spurs a lot of our development,” he said. 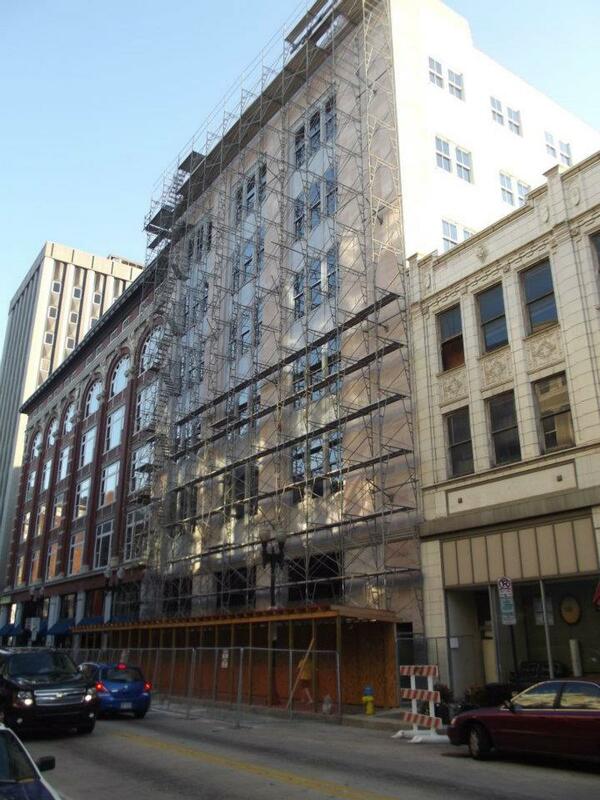 – The city has made grants up to $25,000 available to property owners to improve building facades in the downtown business improvement district and along major streets such as Broadway, Central and Magnolia. – There’s a plan to reconnect downtown and its surrounding historic neighborhoods through greenways and bike lanes and bike racks. The bike lane to North Knoxville has been installed so far. “Knoxville itself is becoming more bike- and pedestrian-friendly, and so is UT,” Watson said. – The city is now crafting a “way-finding” plan that will add signs and logos throughout the downtown to help visitors find parking and other amenities. – There is also talk, he said, of utilizing downtown alleys creatively, possibly to have murals depicting the area’s history that would become a tourist draw. – Cumberland Avenue, known as “the strip” which extends from downtown past UT’s campus, is undergoing a streetscape plan that calls for traffic-calming features, street furniture and building facades that are more inviting. There’s also some major projects on the books in other parts of town like the Urban Wilderness Corridor, which would connect parks, natural areas and historic sites. A long-term Waterfront Vision Plan, calls for public improvements to the 750-acre area fronting the 3-mile shoreline of the Tennessee River, just south of downtown and UT. The plan includes a continuous pedestrian/bicycle riverwalk along the shoreline; parks and green spaces; new and reconstructed streets, sidewalks and bike lanes; and a new pedestrian/bicycle bridge connecting the South Waterfront to UT’s campus. That plan included private partnerships that have been stalled, in part, by the recent national recession. Watson said there are still some challenges yet to be met. Downtown has a small footprint, he said, so there isn’t a whole lot of space left to work with. He said the city would like to attract a major national retailer to draw more people downtown, and Knoxville hopes to recruit a major corporation to place its headquarters there – something the city doesn’t currently have. Neely argued in his column he’d like everyone to move beyond ogling over businesses returning to downtown, and look to creating something more substantive that would be relevant to the rest of the world and remembered in the future. I have to think that’s in the offing. I think of people like Meryl Keegan, who was my high school classmate. She lives in North Knoxville, works as a lawyer downtown, and loves the lifestyle the city affords her. She frequents those cafe tables, bars, eateries and shops. Get enough people like her there and before you know, you have the critical mass of the creative class Richard Florida writes about. And while folks, over their craft beers, are talking about what’s new in town, they’ll dream up businesses they’d like to open, projects they want to start. That’s how ideas are born and collaboration happens. Knoxville will never be in our lifetime one of the world’s major cities. But it’s taking steps to become a great city of our region, the kind of place its native sons and daughters want to call home. If it had been that way 15 years ago, I might have chosen to move there. I call that progress.